Case management lies at the foundation of our programs. Families meet one-on-one with a trusted, compassionate professional who can guide them out of crisis and into stability. 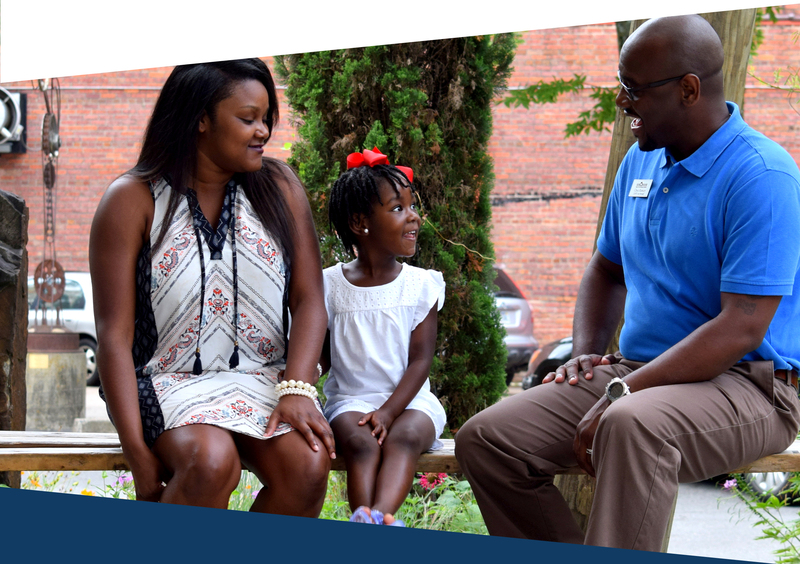 Case managers work intensely with families for up to 18 months to create a plan for the family to stabilize and thrive. The Siemer Institute promotes two-generation (2-gen) approaches that meet the needs of children and adults simultaneously to foster academic success and break the cycle of poverty. We focus on the entire family and align services that meet their needs to support their success. Families come to us on the edge of homeless and in a crisis. The Siemer Institute starts by stabilizing each family’s housing to keep them off the streets. After the crisis is addressed, our families set goals, master financial management skills, and find ways to increase their incomes. Most families learn how to make their money go further, others save a little for a rainy day, and some complete a GED or technical training to increase their earnings. Our partners empower families to thrive by helping them set and achieve meaningful goals with support from case managers and other staff. Children living in stable homes led by thriving families benefit from more opportunities for success. Our partners also offer access to academic supports, healthcare, mentoring, and many other services that meet the needs of low income students. All of this is done to keep school-aged children in their school of origin and give them the opportunity to succeed.